Learn how to make homemade caramel! It’s so delicious. 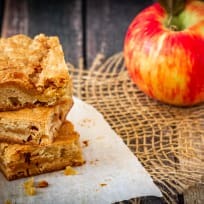 Caramel Apple Peanut Kettle Corn Bars have lots of good stuff. These no-bake bars are completely irrestistible and good for you too! Gooey caramel cookie bars make the best dessert to satisfy any sweet tooth. This bar dessert is a must-make for your next summer cookout! 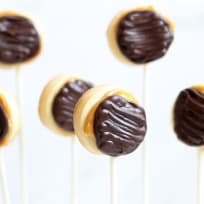 Homemade Twix Cookie Pops are a cute, bite-size lollipop version of the candy bar favorite! Chocolate, caramel, and crunchy cookie — in short, irresistible! 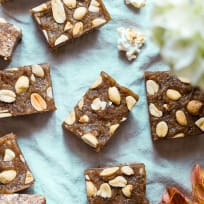 This cranberry pumpkin seed salted caramel bark is a super quick and easy homemade treat to make. Everyone will love it! This boozy white chocolate Milky Way mocha is going to save your day. 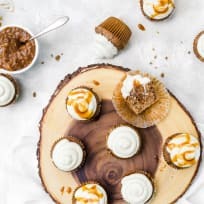 You can’t go wrong with caramel, chocolate, and coffee!